Lose the Thanksgiving Holiday Weight! Thanksgiving is over but the left overs are still here. I'm sure everyone ate and ate and ate but now it's time to get back on track atleast until Christmas is here! That said, Here is my video on the top 10 detox foods. I have workouts almost 7 days a week so if you want to break a sweat feel free to contact me as well. As you guys know, I do product reviews here and there. This is another example of such. 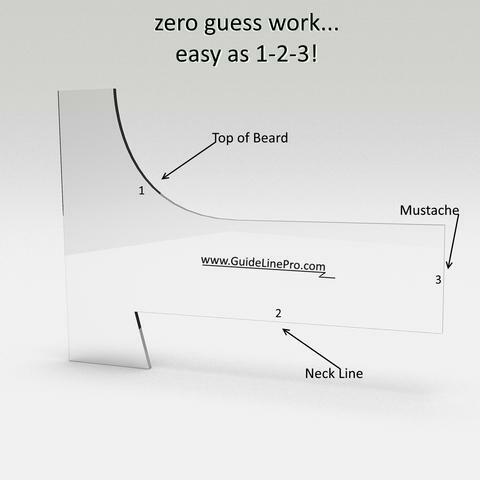 Today's review is for the Guideline Pro Beard Liner Template. I'll keep this one short and simple. Ease of use- Not too bad, but it is pretty awkard to hold a razor to your face and shave while holding the template in perfect position to keep your line straight. I did think it worked better with my electric razor though. Quality of product- The template is made of a light flexible plastic. I did have an issue with the ink on the template disappearing though, probably from the oil or shaving cream dissolving it. Would I buy it if it wasn't free- Hmm, it serves a purpose. Probably not though. Just being honest, I already free hand my beard and I feel like I still have to free hand at times even with the template. However, I've only used it about 3 times, maybe with more practice I will get better at it and appreciate it a bit more. If that is the case, I will update this statement. BEARD SHAPING TOOL - THE BEST THING TO HAPPEN TO YOUR BEARD SINCE YOU GREW IT! GuideLine Pro is a beard grooming template. Which allows a razor or beard trimmer, to command the level of precision and symmetry, you could expect from a professional barber. EXTREMELY SIMPLE Although the design looks simplistic. Each element. Such as GuideLines unique non-slip shape. Or it's easy to follow numbering system. Was designed to perform a specific function. Resulting in an unbelievably natural beard shaping template. Motivational Video! Why EFFORT IS SO IMPORTANT! The time is now! JOIN THE CREW! BEAUCOUPFIT is looking for YOU!